Seventeen-year-old Aaron O’Faolain signs up to try a new product called FUN, a “Fully Ubiquitous Neuralnet.” Once the FUN lens is implanted on his eye, Aaron finds himself with a new artificial best friend, 24/7 gameplay, and an ability to fulfill his every need or want instantaneously- as long as he has the money to keep playing. When Aaron is forced to switch to a school near his absentee mother, he begins to wonder why he should even bother with education when he could be having FUN all the time. This sudden detour leads Aaron to the start of an adventurous and eventful year, during which he must solve perplexing riddles for the privilege of dating a girl, unravel a series of clues to find a buried treasure, and figure his way out of an eight-foot-deep hole despite a broken ankle. Through a myriad of mishaps, Aaron begins to repair his broken relationships with both his dad and his sister, while he discovers what really matters in a world when the dividing line between what is real and what is artificial seems hopelessly blurred. 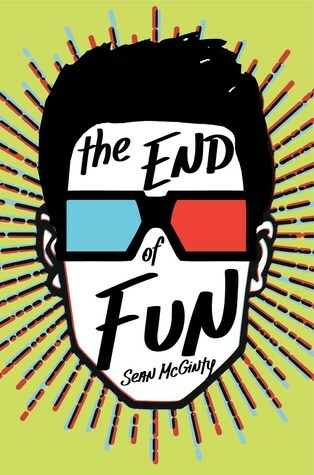 McGinty’s debut novel illustrates the very short distance between our mobile device connected world and a dystopian one where the means to connect is now implanted in human brains. In this alternative world where the artificial seamlessly meshes with reality, no one is friendless, corporations rule, products are pushed whenever a need arises, and everyone seeks a YAY (never a BOO) rating on everything they do. Teenage readers will undoubtedly relate to the antiauthoritarian and wisecracking Aaron, as well as the hyper connected world that serves as the backdrop to the story. Readers of all ages will cheer Aaron on as he tries to escape the grip of FUN and maneuver his way through the challenge of adolescence. It is a messy trip, but one well worth taking. 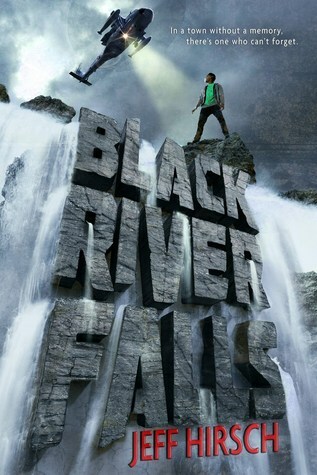 After a virus attacks the citizens of Black River Falls and erases their memories, the National Guard is called in to quarantine the whole town. While the infected establish new lives in the Quarantine Zone, Cardinal Cassidy makes his home in a nearby mountain to remain free of the virus’s reach. But escaping the virus isn’t his only motive. Amidst a whole town striving to remember its past, Cardinal is praying he can forget his. However, when a dubious corporation takes over for the National Guard and a mysterious girl finds her way into Cardinal’s life, a contagious virus and depressing memories aren’t the only challenges he faces. Hirsch gives the reader insight into the mind of a teenager struggling to figure out who he is while grappling with loss of his family- initially due to an aloof father, and more recently due to the virus. The novel blends Cardinal’s thrilling fight to survive with his serious identity issues, with which readers will connect. Told from Cardinal’s point of view through hypothetical letters to his brother, the reader discovers more and more about his struggle, which will result in a desire to learn more about the Cardinal as a person, even as the town balances on the brink of further disaster. In the summer of 1977 in New York, seventeen-year-old Nora is dealing with more than her share of problems. Her mother can’t support the family with her low-end job, her younger brother Hector is making dangerous choices, and her father is only marginally in her life. On top of all this, a serial killer is preying on young women and the streets are not safe. The only bright spot is the new employee at the small grocery store where she works, a handsome college guy named Pablo. Nora knows a relationship is the last thing she needs, but feels herself drawn to him anyway. Everything comes to a head when there is a massive power outage and Nora is forced to make the most difficult choice of her life. Medina has told a powerful and remarkably accurate tale of the panic that gripped New York during the time that Son of Sam was brutally murdering young people. The record-breaking heat wave and subsequent power outage that capped off that turbulent summer resulted in widespread crime and Medina has captured the fear and uncertainty that dominated the city. Nora is a strong character who has to make some hard choices regarding her family in order to keep herself physically and emotionally safe. Hector must deal with an issue–abuse from a sibling–that is rarely addressed in young adult literature. Despite the chaos, a message of hope emerges, not only that Nora is able to survive, but that as a country, we have been down this road of destruction before and come out stronger and better. 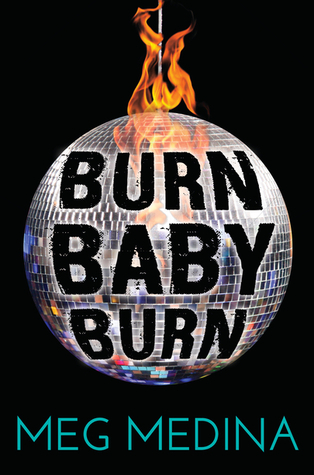 Burn Baby Burn is mesmerizing and starkly addresses the family, cultural, and societal issues all too many teens are facing today. Anna is a seven-year-old raised by a linguistics professor who has taught Anna over eight languages that she associates in a special way. French means Monsieur Bouchard, Armenian smells like coffee, while Yiddish represents Reb Shmulik. The only language her father doesn’t teach her is Polish because that will naturally develop through time as their native language. All of this is occurring during the late 1930s as Hitler’s army invades. Anna’s father has done a great job of sheltering her from the pains of war, until one day he leaves and never returns. At seven, Anna doesn’t really know what to do other than to linger closely to people she recognizes from conversations with her father. Then she spots the Swallow Man. Something about this man draws Anna toward him. Although he is mysterious, he feels safe to her. He gives Anna a sense of security. Thus begins their nomadic story of survival. 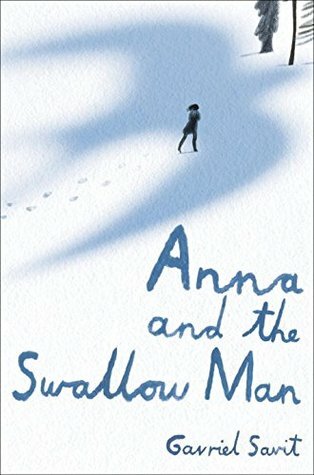 Anna learns many lessons that help her to cope with their constant walking through the country, desperately trying to avoid being discovered by either the bears (the Russian army) or the wolves (the German army). Savit has created a unique story from a well-known time in history that at first seems to be only a survival story, but ultimately is about humanity, identity and a little bit of magic. Sixteen-year-old Lyla lives in a dystopian society where the divide between the rich barons and the poor is strongly divided, and where criminals are “marked” with a tattoo. Lyla is smart and hardworking and has an opportunity to improve her lot after being moved into “Bright,” the high-achieving class of students with her sister, Hope. Although Lyla’s teacher believes she shows promise, Lyla visits an underground market where she is caught by the peace as she considered the purchase of cheat sheets for an exam. Ultimately, she opted to purchase medication to help her parents with their cough, but she is nevertheless marked. Lyla has an opportunity to redeem herself when she is offered a rare opportunity to infiltrate the Red Fists. Complications arise when Lyla must betray her childhood friend Gill in order to have her mark removed. McCaffrey has created a fast-paced sci-fi thriller that comments on making difficult choices, ethical ambiguity, and the challenge in knowing how to make the right choice when there is no clear answer. Marked thoughtfully incorporates pages of the zine (told using a comic strip format) that Lyla reads, allowing readers to learn about this society in a highly creative and engaging manner. Marked offers readers a strong female protagonist who is forced to make very challenging decisions that will impact not only herself but also those around her. Lyla is a magnetic character. Readers will likely find themselves relating to her, cheering her on, and continuing to think about her long after they have finished reading. Life in Rowan’s Glen has its quirks and superstitions, passed on from generations. Usually folks from the Glen never leave, except for the kids to attend school. It is a quiet existence and Ivy couldn’t be happier. The tranquil life is shattered when several dead animals are found around town, rekindling an old legend of a local man named Birch Markle, who murders girls while clothed in the hides of animals. Ivy and her best friend Heather are no longer allowed out alone or at night for fear that the killer will emerge from the woods and find his next victim. The town has decided to reinstate the annual May Queen celebration, which was the alleged scene of Birch Markle’s most recent murder. Townspeople, including Ivy’s father, believe that the celebration is a bad idea. Aside from the anxiety caused by the recently animal killings, Ivy must work through her own relationship complications involving Heather and Rook, the handsome Sheriff’s son. At first, it is difficult to place the time period of the story because it feels so far removed from current life. This, however, bodes well for the author’s location development as readers soon learn that Ivy and her friends are living in their own version of the present. The development of the murder mystery mixes well with the relationship questions that Ivy struggles with throughout the story. 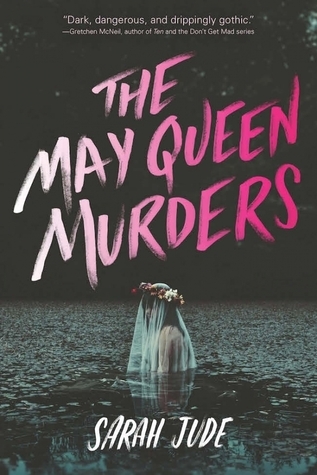 The May Queen Murders is exceedingly original in its setting and plot. Mystery fans who are looking for something fresh will love this novel. Houghton Mifflin Harcourt, 2016, 289 pp. $17.99. Fifteen year-old Jessie dreads returning to school because she lost all of her friends in seventh grade. Annie has just moved to the suburbs, from a private to a public high school. She hates her stepmother and stepsister. Luckily, Jessie meets Annie the first day of tenth grade. They become fast friends vowing to be best friends forever. As Annie gets more comfortable at school, she befriends Jessie’s former friends, which Jessie considers a huge betrayal. Annie gets pregnant by Jessie’s crush. These two events break up their friendship. Jessie overuses her anxiety medications. Annie’s new friends drop her when she becomes pregnant. She and Jessie get back together to help each other through their trials and solve one more plot twist. As a result of Catherine Lo’s twelve years of work with at-risk teenagers, the novel realistically portrays all the dysfunction that is high school. Lo walks the reader through every day tenth grade life and the trials many teenagers face. Bullies destroy the self-confidence of quiet teens. Girls are expected to be in charge of birth control. Boys walk away from difficult situations. Best friends eventually support each other. 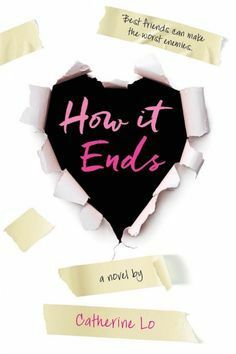 How it Ends exposes readers to the trials of girls who don’t or can’t relate to their parents or teachers. The message here seems to be that focusing on being popular is not as important as developing self-esteem. (Spoiler Alert: The first two paragraphs of this review contain key plot points from The Living. The review for The Living is located in the ALAN Picks archive: September 2013). In The Living, Shy Espinoza, a Mexican-American teenager from the south side of San Diego, takes a summer job on a cruise ship. Here he meets Carmen, a beautiful, older Mexican-American who, like Shy, is from a working-class neighborhood not far from his own. Both Shy and Carmen have lost loved ones to Romero Disease, a quick hitting, fatal affliction that is spreading from Mexico into the U.S. Shy immediately develops strong feelings for the alluring Carmen, but to Shy’s dismay, she is engaged to be married. When the Big One strikes California, The Paradise Cruise Ship is hit by the resulting tsunami, and most of the passengers and crew are lost. Shy, Carmen, and Addie, the rich blond daughter of a mysterious businessman, along with several others, survive, washing ashore on an island inhabited by scientists who claim to be working on a cure for Romero Disease. Shy learns that Addie’s father is the man behind the experiments taking place on the island, and that Romero Disease was engineered–before the earthquake hit–as a way for Addie’s father’s company to profit from developing a cure. Shy, Carmen, Marcus, and Shoeshine, an ex-military man, manage to escape the island with several vaccines, and the written formula for the cure, minus one page, the page that Addie has in her possession. 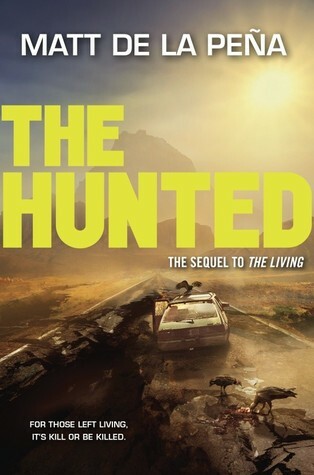 The Hunted, Matt De La Peña’s sequel to The Living (Delacorte, 2014), begins with Shy, Carmen, Marcus, and Shoeshine reaching Southern California’s coast after enduring thirty-six days at sea. Most of the buildings and roads in Los Angeles have been destroyed by earthquake and fire. Many of those who survived the earthquake have died from Romero Disease, which has now reached pandemic proportions. Those who remain have been cordoned off into zones in an attempt to contain the pandemic. A vigilante biker gang known as the Suzuki’s, patrols the streets trying to keep everyone in their zones. The federal government has quarantined what is left of California. Shy and his friends set out on a perilous mission to get the vaccines and the formula into the right hands. In order to do this, they will first have to make it through the city, and then journey across hundreds of miles of desert to the new border of California and Arizona. De La Peña has once again created a cast of believable and likeable characters whom readers will cheer for. Shy and Carmen’s relationship is tantalizingly complicated, and readers will root for their romance to bloom, despite Carmen’s tough exterior and the moral code she upholds–even in the face of her apocalyptic surroundings–that prevents her from getting romantically involved with Shy while there is still a chance that her fiancé is alive. Shoeshine, an ex-military man who saves the teens numerous times, is equally intriguing and well developed. Be warned, The Hunted does deal with violence and death in a very real way. This story is not for the faint of heart, but like all good YAL, it does offer hope. In the end, isn’t that what we all need?